Facing multiple enquiries, ICICI Bank CEO Chanda Kochhar (in pic) has gone on long leave, but the allegations levelled regarding quid pro quo and conflict of interest reverberated in the bank’s annual general meeting (AGM) on Wednesday. 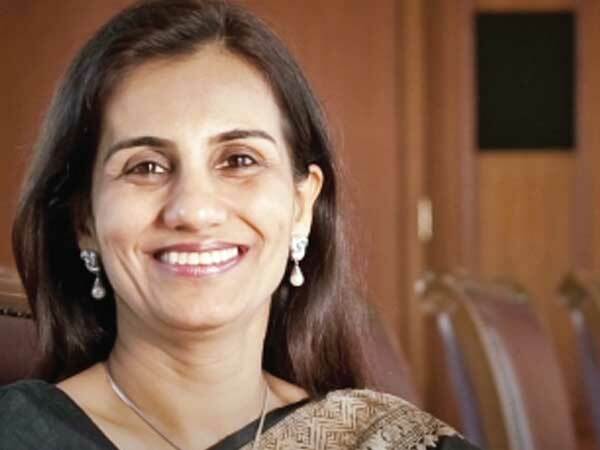 Shareholders sought clarity on the charges levelled against Kochhar and questioned ICICI Bank’s decision to vote in favour of reappointing her on the board of ICICI Securities last month. One of the shareholders present at the AGM posed a tough question. “We deserve a response. This is a big mess-up for the bank. How did you give a clean chit in 15 minutes and now it is taking so long for an investigation? On what basis did you give support to the CEO.”. Kochhar, who is on leave since June till the completion of an external inquiry into alleged conflict of interest, was not present at the AGM. Some shareholders, who spoke at the 24th AGM held at Vadodara, also questioned the corporate governance practices and standards at the bank and whether the management needs to take tough decisions. Sandeep Bakshi, the newly appointed chief operating officer, assured that the bank had been ring-fenced from the controversy. Bakshi said the bank has been taking necessary steps and also pointed to good numbers in the first quarter. “The bank is able to perform and will come out of this,” he said, expressing his inability to take any decision on Kochhar pending the Srikrishna panel report. “We are cooperating with all authorities…. We have insulated the bank’s functioning from this incident....We are committed to improving the bank’s functioning within the parameters of highest corporate governance,” said Bakshi. FC queries posed to senior ICICI Bank officials did not elicit any response. Shareholders also questioned the absence of the government nominee on the ICICI Bank board from board meetings of the bank. The government nominee on the board Lok Ranjan was absent at the hour-long AGM chaired by newly-appointed chairman GC Chaturvedi. Neither was MD Mallya, a recently appointed board member, present. Many shareholders also spoke against the core issue of sanctioning loans to the Venugopal Dhoot-run Videocon Industries, which is facing bankruptcy proceedings now. The bank’s shareholders also sought stern action from the bank on any misdoings on the part of Kochhar, while some also called for a restructuring of the top leadership given the allegations and questioned the board for initially backing Kochhar. Shareholders also questioned the reasons for a jump in legal expenses and rued that this comes even as it has reduced the dividend payout. All the 14 ordinary resolutions and four special resolutions put up by the management were passed at the AGM. In March, on the eve of publishing of a news report alleging improprieties and lack of disclosure against Kochhar, the board backed her in a public statement and said loans to Videocon was part of a consortium and ICICI Bank was not the lead banker. However, more reports came out showing Kochhar’s husband Deepak and his brother, had allegedly benefitted from ICICI Bank's borrowers like Videocon and also the Ruias-promoted Essar group.